A YOUNG boy who views Dumfries and Galloway Royal Infirmary as his second home has turned on the hospital’s Christmas tree lights. 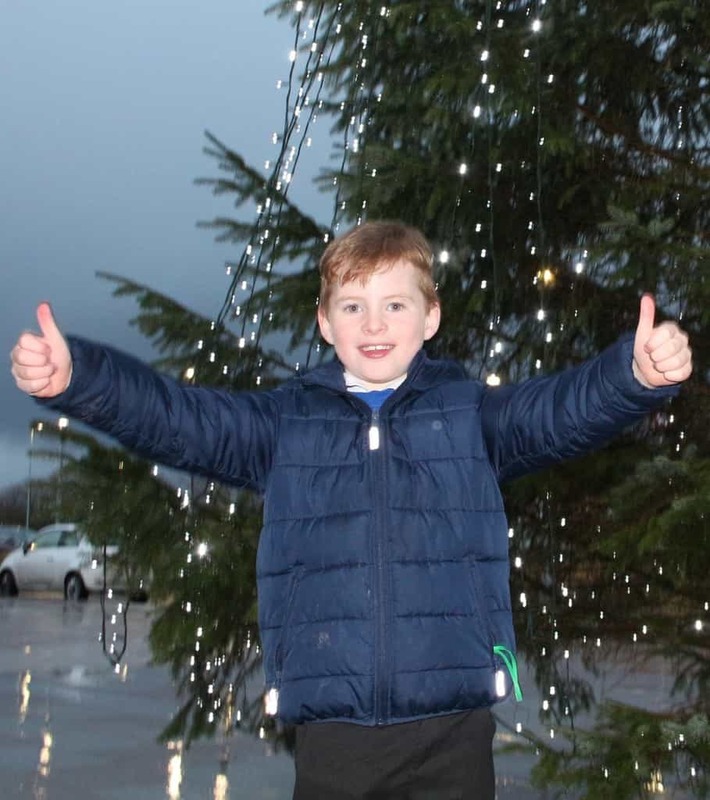 Seven-year-old Ethan Smith, from Dumfries, who lives with cystic fibrosis, was asked to push the button which lit the giant tree in front of the district general hospital on Friday afternoon. Mum Montana Stewart said: “Ethan has been a regular patient at the children’s ward since he’s been born – so for the last seven years, because he lives with cystic fibrosis, a lung condition which was diagnosed at birth. Montana added: “He was the only child who cried sad tears when the old hospital closed, because it was like a second home to him. “And when he had to come to the new one, he wanted to stay at the old hospital. Kirstine said: “Although we had a tree up in front of the new hospital last year, we didn’t actually have a lights switch-on. “We were delighted that Ethan said he would perform the duties, and he did a terrific job; it was a really special event. Ethan was jumping with excitement as he pushed the button, wishing everyone present a Merry Christmas. And asked to deliver his verdict on the tree and its colourful light, the Heathhall Primary Pupil had just one word to describe it – “Awesome”. Next articleToddle down to BUMP-er BuyByeBaby Market!